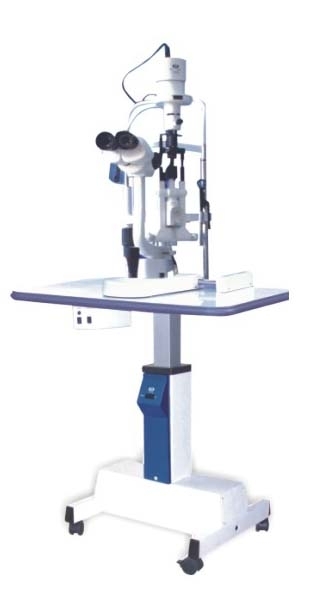 YZ-5G Slit Lamp(Big Light Spot Diameter) •Characteristics •This product covers all the functions and characteristics of YZ5F1 Slit Lamp Microscope. 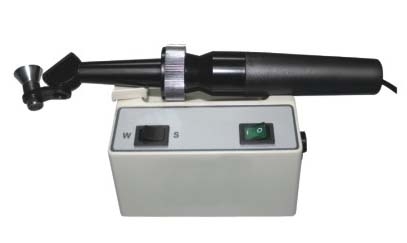 •The diameter of the light spot and length can reach 14mm. 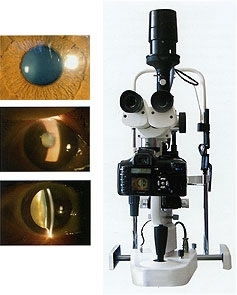 •Filter against UV.. •Specification Microscope Type:Parallel included angle type Magnification:Five-step magnifications Eye piece………………12.5x Total Magnification and Diameter of Visual Field(mm):6x（Φ33）、10x（Φ22.5）、16x（Φ14）、25x（Φ8.8）、40x（Φ5.5） Adjustable Range of Pupil Distance(mm):55~75 Adjustable Diopter…………-5D~+3D Slit Width(mm):0-14 adjustable Slit Height(mm):1~14 adjustable Slit Angle………………0~180° Slit Inclination:5°、10°、15°、20° Light Spot Diameter (mm):Φ14、Φ10、Φ5、Φ2、Φ1、Φ0.2 Filter:heat absorption, grey, red free, cobalt blue Illumination Bulb:12V / 30W halogen bulb Voltage/frequency:AC220V±10%/60Hz±1Hz. AC110V±10%/50Hz±1Hz Power………………58VA Electrical Safety Standard:Conform to Standard IEC 601-1.Class1Type B Whole Packing Volume:0.30m3 Carton Number………………2 Total Weight………………50kgs Accessories • Applanation Tonometer (R type and T type), Measuring Eyepiece, Beam Splitter, CCD Adaptor , CCD Camera, Teaching Tube, etc. 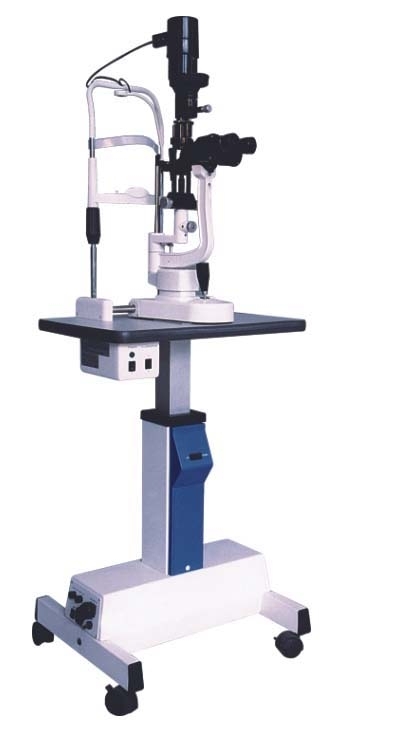 YZ-2 Handle Slit Lamp Specifications Illumination lamp :6V/5W halogen tungsten bulb ; Power Input volt…………220v±10%v; Input frequency……………50Hz±1Hz; Input Power……………… 6VA; Fuse specification………51S-0063H; Electrical Equipment Safety Standard : GB9706.1－1995 Class two Type B.